Yeah… you read me right. In this disjointed, often mindless and flair over saturated hell (sometimes known as hip-hop), It's safe to say that not only has Nef Naim kept things things cool, but so have some of his lyrical peers. You may remember hearing Nef on Earmilk's "Nods & Endz" post showcasing up & coming mc's back in late '09. Hailing from Newport News, VA, the mc is responsible for his own beats as well. 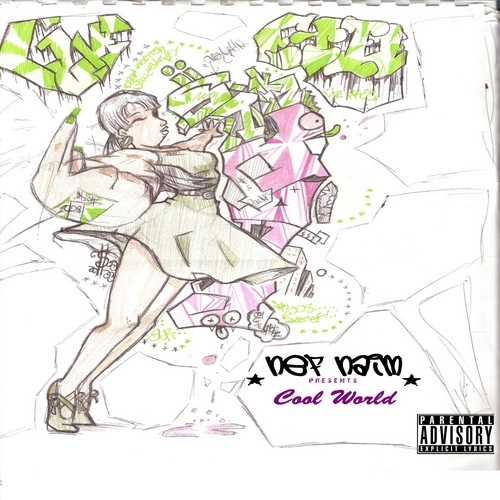 Nef has been dropping music since '05, but Cool World is his latest and seventh project. The album includes features from mainstays that have been heard throughout his work such as rapper and swag enthusiast GB, as well as fellow producer and mc Sheedy Beatz. For those old enough to remember hip-hop's golden era, you'll find that Nef offers a bit of nostalgia in his work, while remaining relevant. Click on the link below to check out Cool World and Nef's other work and as always, keep listening.